NESCA News & Notes: On Transition: Is the U.S. Prepared for a Growing Population of Adults with Autism? On Transition: Is the U.S. Prepared for a Growing Population of Adults with Autism? More than 50,000 individuals with autism transition into adulthood each year. Autism is on the rise: More than 1.5 million people have the condition in the United States alone. But because the majority of these people are younger than 22, the country is on the verge of an “autism tsunami” that could leave thousands without the support they need as they become adults, according to Autism Speaks, an autism advocacy organization. “The current system we have right now is woefully inadequate,” says Angela Lello, director of housing and community living at Autism Speaks. "There are lots of long waiting lists. In some states, it can take as long as 10 years to gain access to [these support] services." to perform autism research and search for gaps in support. 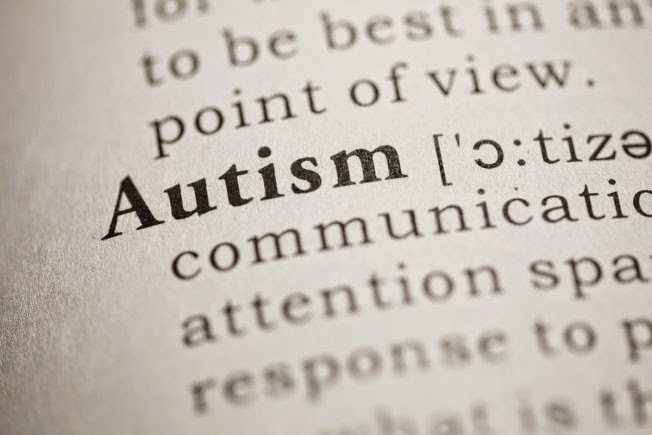 Defined as a developmental disorder that can impair social, communication and behavioral skills, autism is a spectrum disorder that can range in severity from person to person. Some individuals with autism are considered high-functioning and can live independently requiring minimal, if any, help. Others, however, may need partial or full supervision and assistance to navigate even the most basic tasks of everyday life. "A person who is nonverbal or who has significant intellectual disability will require substantial support in adulthood, and fully independent living will not be possible," says Thomas Challman, medical director and neurodevelopmental pediatrician with the Geisinger Health System Autism & Developmental Medicine Institute in Pennsylvania. Scroll down to learn more about how NESCA's transition services can help prepare an individual for postsecondary education and independent living. But as parents wait for more services to become available, there are options available now to help children with autism thrive, says Challman, starting with early intervention therapy. “ Parents of children with [autism] can improve the likelihood of independent living by accessing, early and consistently, the types of therapies that help improve their child’s communication and social skills,” he says – areas that have significant impact on a child's ability to succeed in work and social settings. Red flags for autism include a lack of joyful expressions by 6 months of age, no babbling by 12 months and no words by 16 months. While autism cannot be cured, early intervention therapy is the best tool available to help treat children with the condition, offering an opportunity to help overcome​ brain abnormalities, Hyman says." When early red flags for autism are identified, what therapy can do is help children come up with workarounds and provide them with experiences that will help them move forward developmentally," she explains. Workarounds can include helping children learn sign language or to point at pictures to convey what they want. “Mental health services can and should be accessed to help manage common issues such as anxiety and depression,” Challman says. Because social skills are "extremely important" in the workplace, it's imperative to continue cultivating them, too, he adds. Transition is the process, ideally beginning at age 14 if not sooner and extending through high school graduation and beyond, by which an adolescent or young adult masters the life skills necessary to function independently in post-secondary school or the workplace. NESCA offers transition assessment, planning and consultation coordinated by Kelley Challen. What do we mean by transition? Transition in this context is the process of progressing from one life stage to another. The movement from secondary school to college and beyond, into the workplace, can be exciting but daunting. Our society has, in practice, addressed transition arbitrarily as an individual event coinciding with the completion of high school. At NESCA, we have redefined transition as a process that anticipates this milestone but extends beyond it, because ideally, the work should begin early and continue well beyond the event. What is transition planning and consultation? Transition planning and consultation involve understanding and nurturing an individual’s post-secondary vision, and helping that student and his or her family identify resources, services, skills and strategies necessary to realize it. Young adults clearly benefit from the development of a long-term relationship dedicated to the construction of a solid bridge to adulthood that remains supportive beyond completion of secondary school. The transition from high school into college, vocational training, employment and/or independent living is a big shift and is stressful for every student, but for those with disabilities it can be that much more challenging. Research suggests that students who have participated in active planning toward realization of their own vision experience more success and satisfaction as young adults. It is important to remember that skills necessary for living a fulfilling and independent life go well beyond academic success. Why should we begin now? Learning to cross the street, attend a sleep-over, buy one's own ice cream cone and make a phone call are all early steps toward transition. The list of skills to be mastered is infinite (aren't we all still working on something?) and prioritized based on the student's vision, but the more skills a student can truly master before making the transition, the easier it will be for everyone. In whatever novel situation follows high school, the more automatic a skill is, the more easily it will transfer to a new routine and setting.